Each month we take a look at a few of the previous month’s bird sightings as suggested by our experts. Here are five of May’s most exciting observations. True to its name, this bird is the world’s smallest gull. It is common across much of Europe and Asia. 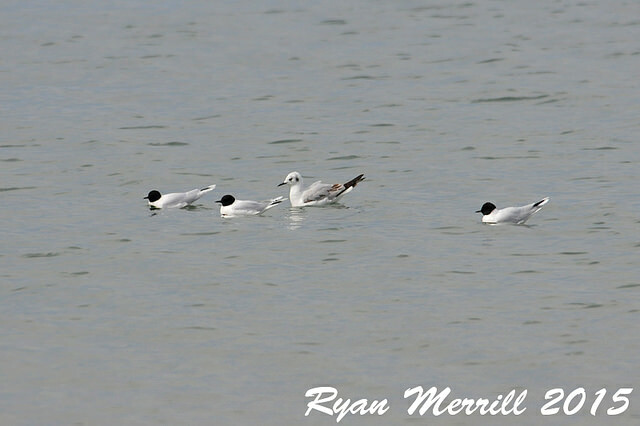 In North America, a few little gulls have been breeding on the east coast since at least 1960, but this bird is still a rare sight. Last month, Massachusetts birders were amazed to note this species at three locations, including at least 10 birds at Hatches Harbor in Provincetown. This fascinating bird is a hybrid, the result of a pairing between a blue-winged warbler (Vermivora pinus) and a golden-winged warbler (Vermivora chrysoptera). The offspring of these closely-related birds are usually fertile, and they generally fall within two broad color categories: the grey and white “Brewster’s warbler” and the golden “Lawrence’s warbler”. The Lawrence’s is the rarest possible outcome, since its traits are recessive. Two of these stunning birds were seen in May—one in Petersham and one in West Newbury. 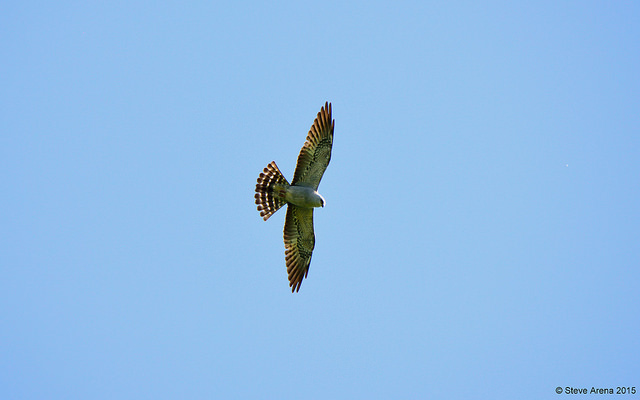 A graceful raptor, the Mississippi kite eats insects. It is most commonly found in the Great Plains and the US southeast, but its range has been expanding by leaps and bounds, and it is now spotted almost every year in Massachusetts. In fact, this species has even been found nesting in Connecticut, Rhode Island, and New Hampshire in recent years. The reasons for its spread are probably numerous, but here is one contributing factor: Mississippi kites like open areas with scattered trees, a landscape pattern that people frequently create. Last month, several birds were seen on the Outer Cape, and individuals were also seen in Westboro and Amesbury. This sleek seabird lives in many tropical oceans throughout much of the world, where it executes dramatic plunge dives for its prey, especially flying fish. It is related to the famous blue-footed booby, but its feet are yellowish. It does not currently breed in the US mainland. 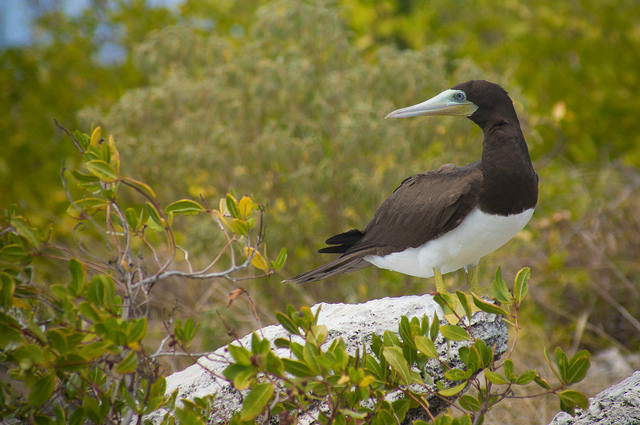 Last month during our annual Bird-a-thon fundraiser, two participants on a whale watch trip were thrilled to spot a brown booby off of Gloucester. No doubt it was a prized addition to their lists, as well as to the whole Bird-a-thon! Perhaps you’ve heard the night call of this species’ better-known relative, the whip-poor-will. 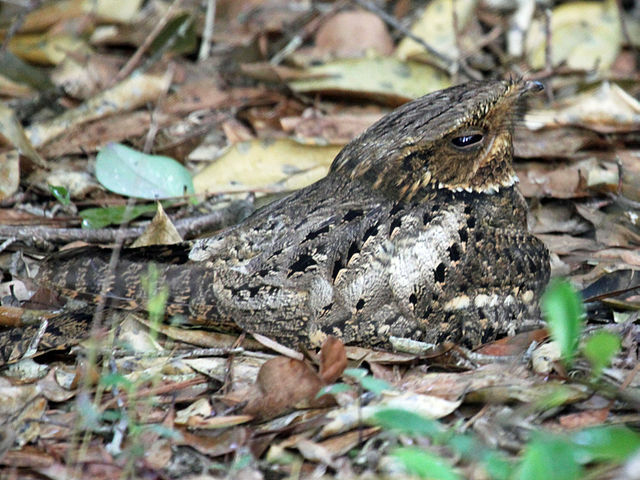 The chuck-will’s-widow breeds mostly in the southeastern US, and it is the largest North American member of the group of aerial insect-eaters known as nightjars. Despite its size, this bird is hard to spot. Its feathers match the pattern of bark and leaves. However, its namesake nocturnal “chuck-will’s-widow” call is loud and incessant. One was heard calling in East Orleans during Mass Audubon’s Bird-a-thon fundraiser. 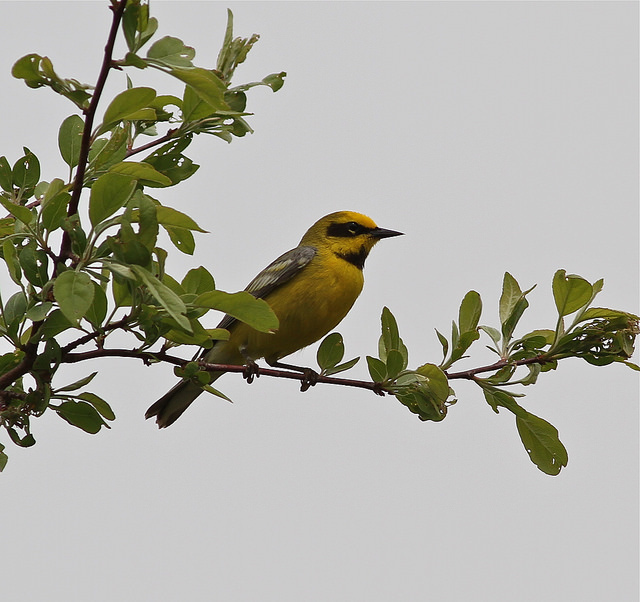 This entry was posted in Nature Notes and tagged bird sightings, birding, birds on June 10, 2015 by Rosemary.